Get 20% off when you book a weekday at the resort. Flat 20% off on advance booking! Choose from a range of 15 spa treatments and have a rejuvenating experience! An exciting holiday experience in Coorg! Rejuvenate at the resort's spa, with experts in the arts of healing using oils and massages. 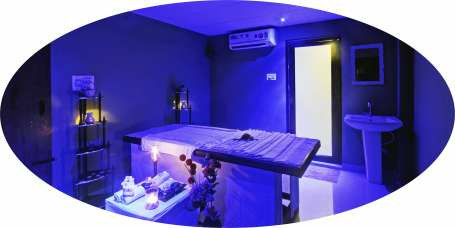 Our sessions are sure to cleanse your mind and body of all worries and stress and make you feel relaxed. 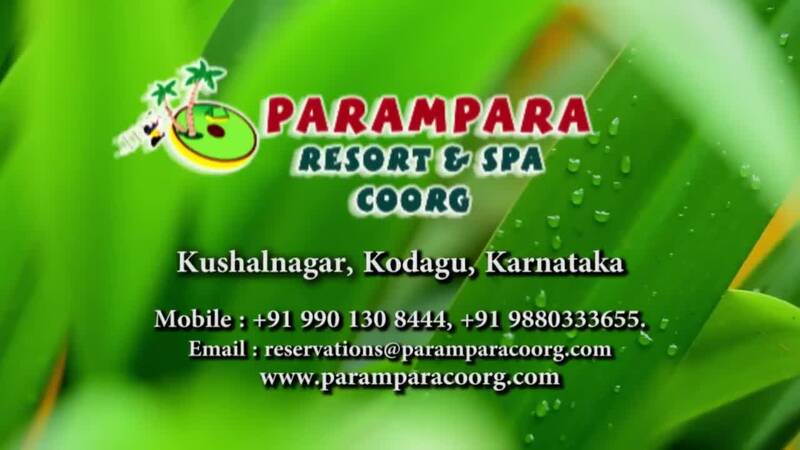 We offer you clean and comfortable rooms at Parampara Resort & Spa, Kudige, with all amenities available to you for the best holiday you can get in Coorg. The resort has a swimming pool, recreation area, spa and many other facilities making your holiday a memorable one. Situated 15 minutes away from Kushalnagar City, Parampara Resort & Spa, Kudige, welcomes you to experience a delightful stay getting you closer to nature. A number of facilities to keep you occupied throughout your holiday in Coorg. The beautiful city of Coorg has a number of attractions including waterfalls, ecological parks, water rafting and a breathtaking green scenery. Be a part of this magical experience and get the best prices for your stay when you book a room from our resort's official website. The in-house restaurant at Parampara Resort & Spa, Kudige, Coorg, is a delightful stop for guests to unwind and indulge in delicious multi cuisine delicacies prepared by experienced chefs. The restaurant is open from 7 am to 10:30 pm.